Both the Sony Xperia Z5 Compact and the Sony Xperia Z3 Compact have a 4.6-inch 720 x 1280 IPS display, so there shouldn't be much difference between the two. They're not full-HD, but given their fairly small size there's less need for that and with TRILUMINOS technology they deliver bright, vivid colours. Not only is that faster, but it's 64-bit, while the 801 is just 32-bit, and it's coupled with an Adreno 430 GPU, while the Xperia Z3 Compact has a lesser Adreno 330 GPU. So the Z5 Compact should be a slicker performer, though the Z3 Compact never felt particularly lacking. You can pick up the Sony Xperia Z3 Compact for £429/$469.99/AU$699 SIM free direct from Sony and if you shop around you can potentially find it for quite a lot less. 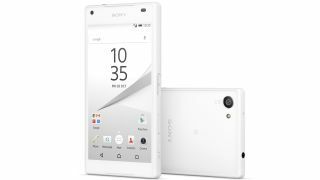 The Sony Xperia Z5 Compact will be available in October and while Sony hasn't revealed the price yet there's a good chance that it will retail for around what the Z3 Compact costs now, with the older phone likely to drop in price in turn.